Sugo, passata, salads, bruschetta, pizza, chutney, tomato salad, relish or sauce. Tomatoes are at their peak at the tail-end of summer. 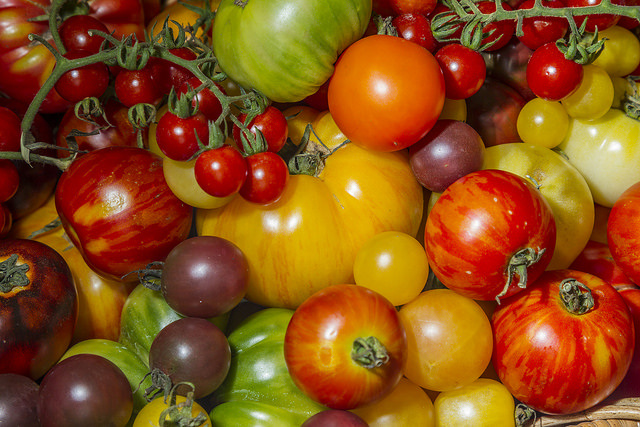 And regardless of how you like to enjoy the humble fruit from the nightshade family, the time is ripe to embrace it in all its glossy red glory at Sydney's inaugural Longest Tomato Lunch, held from noon on February 21. The Lycopersicon esculentum will be the centrepiece of the 72m-long table that will be set for 250 people and laid out under a gorgeous white marquee on the waterfront of Farm Cove in the Flower Bed Lawn at Sydney's Royal Botanic Gardens. 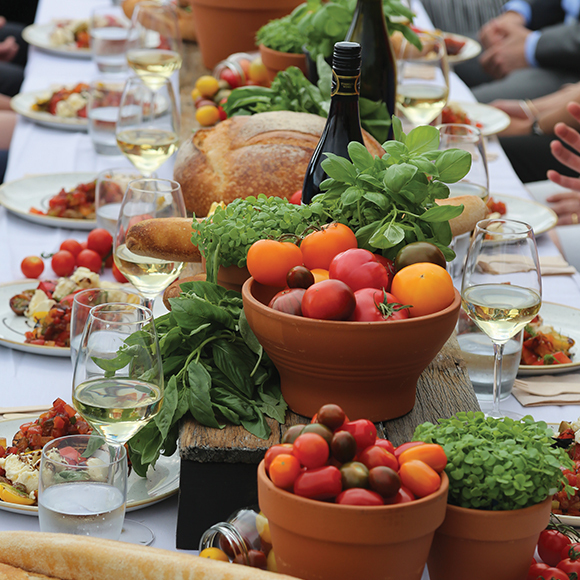 Expect a tomato supper of Roman proportions with executive chef of the Trippas White Group, Ashley Hughes (of 360 Bar and Dining) at the helm. The event, under the umbrella of the two-day Tomato Festival, will celebrate the humble tomato in dishes such as gazpacho, cherry tomato and bocconcini salad, 65 degrees' salmon fillet with Moroccan spiced chickpea and tomato salad, aged cheddar, tomato relish, tomato focaccia, fruit salad and caramel tiramisu pots. 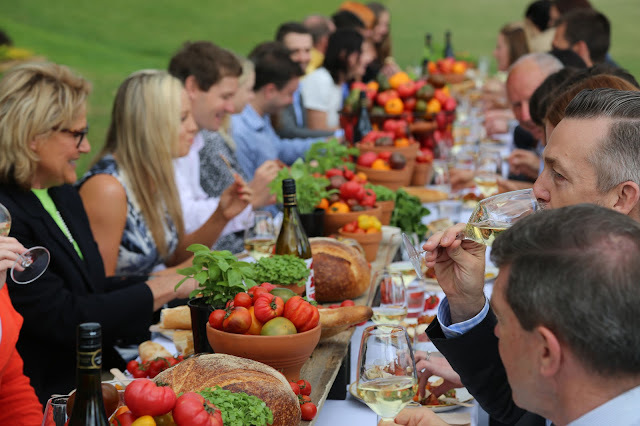 Guests need to pre-order their hampers for two ($84) and pre-order their bottles of Tyrrell's Wines' 200th Birthday shiraz, chardonnay and sparkling wine ($35). In addition to the Longest Tomato Lunch, the festival will include talks, workshops, cooking demonstrations and a kick of chilli to spice up the Garden's 200th Birthday Celebrations. There will also be a produce market selling everything from heirloom tomatoes and cucumbers to herbs, olive oil, pickles and preserves. Keep your eyes peeled for Heartbreaker Cherry Tomatoes. Proceeds from plant sales help Foundation and Friends of the Botanic Gardens to support science, horticulture, conversation and education. For bookings, visit the Tomato Festival website.